← August … if we must! On the USWNT front, Lindsey Dolich has posted a nice preview on ESPNsoccernet about this post-Abby team. Abby’s injury “forces the issue” as far as the USWNT’s transformation goes. And I have my suspicions that the “liberating” aspects of the change may be quite strong for this team that has played laborious and “ugly” soccer for so many years now. I also agree heartily with Lindsey’s comment about the difficulty other teams will have scouting this new, unpredictable, evolving USWNT. Pia seems to have a great way of framing things as “positives” – and from everything I read, the team seems on board with that. I look forward to an exciting Olympics, with the USWNT making a good run for the gold. We’re less than a year away from the start of Women’s Professional Soccer! While many fans will be watching the Olympics purely with gold in mind, many others are going to be watching and scouting players for the WPS allocation, slated for this fall. Here’s Boston Breakers’ coach Tony DiCicco’s take on the Olympics and the upcoming WPS player allocation. 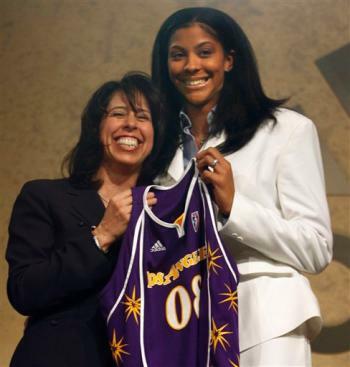 Candace Parker talks, in this Q&A, about the upcoming Olympics (her first) and going for the gold. 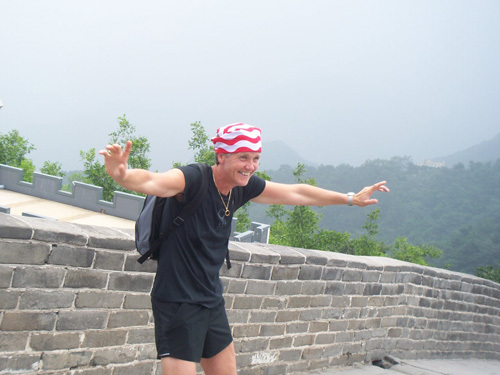 I’ll be adding some links so that we can more easily track the US Women’s B-ball squad in China these upcoming weeks! This entry was posted in Soccer, etc. and tagged abby, Beulah, Boston, Boston Breakers, Brazil, Breakers, Candace Parker, danish, Donovan McNabb, ESPN, espnsoccernet, football, Germany, Grant Wahl, Lindsey Dolich, Manny, marlins, NikeSoccer, Olympic, olympics, Phillies, Pia, Red Sox, soccer, Tom Curran, Tony DiCicco, US, USWNT, wnt, women's professional soccer, WPS. Bookmark the permalink.